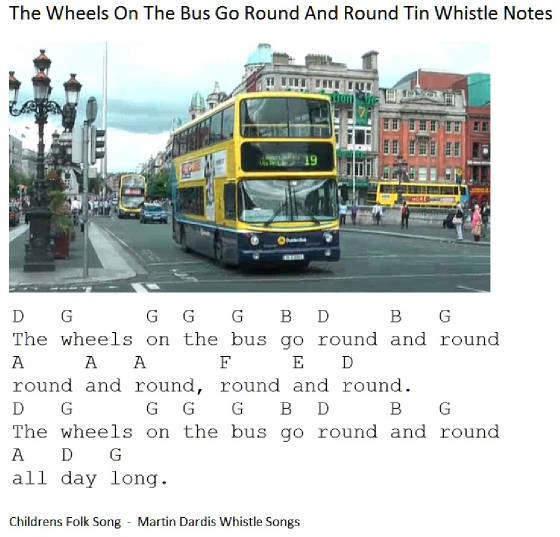 The Wheels On The Bus Go 'Round And 'Round tin whistle notes. The image of the bus is from O'Connoll Bridge in Dublin Ireland. [Kids Whistle Songs] The first D' note at the start of the song is a low one and the second is a high D.